We all know about the game called “Russian Roulette” – you have a revolver with only one bullet in one of the six chambers. People take turns pointing the gun and pulling the trigger until the gun eventually goes off and someone dies. The “point” of Russian roulette is a mystery, but one thing is certain: someone will die (or at least get seriously hurt) if you play it. Playing Russian roulette with your vehicle’s tires is no different than playing with a gun. However, it’s not just the driver who is put at risk, but the passengers and passers-by who happen to be near the car when a tire bursts and the vehicle loses control. Every tire manufacturer will suggest a conservative tire maintenance program, especially when it comes to when tires should be changed and rotated. But these manufacturers do not know if the driver is a racer, a long-distance sales rep who does a lot of highway miles, or a little old lady who rarely travels faster than 40 mph. 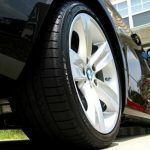 Each of these users will have a different level of wear on their tires, not to mention that things like typical terrain and weather conditions effect tire wear. No tire or vehicle manufacturer can foresee all of these conditions, so it’s unwise to accept the manufacturer’s recommended tire maintenance at face value. The responsibility is thus totally with the driver to check their tires regularly. Don’t play Russian roulette with your tires; it’s best to avoid all risks. The easiest thing for a motorist to do is once a week check the air pressure in the tires at the local filling station. 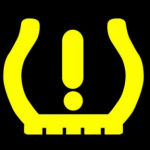 This alone will alert owners to constant deflating tires, or tires looking damaged or beginning to misshape. Buy yourself a decent tire gauge and make it a habit every time you fill up. If you check your air pressure regularly, you’re also more like to spot tire cracking, worn patches on the tires, bulges, and blisters. There’s no need to be a tire expert to know what these things are – if something doesn’t look right, you’ll want someone who is a tire expert to look at it soon. As far as tread depth, some people use the famous “penny test” (putting a coin in the tread of the tires), but the truth is that it’s just not that simple. Tires should have at least 3/8th of an inch of remaining tread – if they don’t, or if you don’t have the ability to measure that correctly – it’s best to leave it to professionals to have your tires checked for wear. While we’re at it, let’s dismiss the notion that someone can assess the inflation of their tires just by looking. In earlier times, it was possible to see that the tires were a little low on pressure by observing their ‘sag,’ but newer tires do not always give that impression. In fact, some newer tires always look low. Do not over-inflate tires: it will reduce the life expectancy considerably. On a regular basis, a professional tire or automotive service provider should check all your vehicle tires. Are they in need of rotation? Is the tread wearing incorrectly? Are the tires in need of replacement? It’s recommended to get these questions answered and be aware of potential problems, lest one goes driving home one night to have a tire burst and take a life. All because the tires were not regularly checked! Accidents cannot be stopped, but the Russian roulette on car tires can be minimized hugely by just a few minutes of checking. Or by a quick visit to the professional service center. Make sure the tire valves all have caps that are secure, and ensure that the valves are not leaking air. Check for foreign items stuck in the tires. Remove them before they may go deeper into the tread. Never travel with a deflating/deflated tire. Always have an air pump in the car to get you to safety. It is very easy to overlook the importance of a good quality tire. An emergency breaking, or sliding on snow or ice is a little late to consider that the tires are up to the job. Make tomorrow the day those tires are thoroughly checked for peace of mind. Author Bio: John Grant is a British entrepreneur and freelance writer. 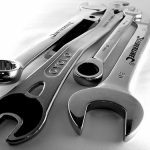 He spends his time exploring the wonders of science and engineering, and is passionate in particular about automotive care – including everything to do with car tires – and preventative maintenance.